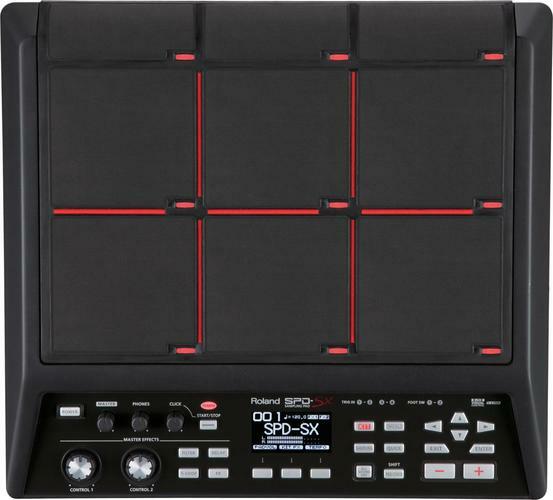 A pad-based sampling instrument with innovative audio-capturing features, three multi-effects engines, and more. The SPD-SX’s generous internal memory (2 GB) lets you store and carry your entire sample library inside. With no external memory required, you can house approximately 360 minutes of audio (10,000 files) at 16-bit, 44.1 kHz, mono. The built-in USB ports let you directly import audio files from USB flash memory. The bundled SPD-SX Wave Manager software app lets you import audio files directly from computer via USB, assign the samples to each pad, and organize the thousands of samples efficiently.